Achieving predictable business growth is the key to growing fast. It’s impossible to know how many hires, how many seats of products, and how many square feet of space you’re going to need if you have no idea how many dollars are coming in. The key to achieving predictable business growth is to build a sales process that delivers predictable results. I’m not going to go into the basic information on how to do that here. There’s a million precis of Predictable Revenue out there, as well as Aaron Ross’ own work. Instead, I want to talk about where most businesses actually go wrong, and what we can do to fix it to get the model of a specialized outbound sales team back up and working like it’s supposed to, actually delivering that predictable revenue to the business. It’s impossible to have predictable growth without having a handle on both where you are, and how you got there. So businesses need to start with the bottom line and work backward through every stage of the outbound sales process until they reach the research and preparation stage of prospecting, and cold-bloodedly check their numbers. Essentially, every time a decision is made — did the prospect move down the pipeline, yes or no? — you need numbers on the outcome. From there, you can build a realistic picture of the way your organization ended up with the yearly revenue it actually has. Next step is to figure out the relationships between the numbers: if you have $10M revenue, and $5M average deal size, from 10 prospects and average close rate of 20%, then you either need 10 more prospects, or 2 more closes, to double your revenue. When you have a clear idea of the relationships between each metric then when one seems to be going wrong, you can look at the metric upstream and try to figure out if the problem is local: if you have a bunch of prospects, but very few meetings, maybe it’s because reps aren’t following up? The value of doing things this way is that it saves you from rebuilding the whole car for a flat tire. You can look for individual contributing factors within the overall plan. If you don’t have this level of detail, you’ll know something is wrong — but often have no idea what. So this approach is a great place to start. But it doesn’t take account of one crucial differentiator: prospect quality. What you have up there is a system. It’s hard to get anything done without one, though if you ask one of those sales organizations where everyone does everything, and the solution to any problem is ‘get better!’ they’ll tell you: it’s not actually impossible. It’s just really unpredictable and inefficient. Obviously ‘grind harder’ is a model for strategic success the same way ‘lift more’ is a strength training program: sort of, but not really. Equally obvious, a process-oriented approach will be far more likely to yield predictable, reliable results. But any engineer will tell you the golden rule of systems is GIGO: Garbage in, garbage out. The system we just talked about is incomplete without an understanding of prospect quality, and that’s tougher to put a number on because it’s an outcome. So we need to talk about the process that leads to it. We do that in this blog post, so if you want to really get under the hood, check it out. Here, let’s just say that it comes down to nailing ICPs — really nailing them, not just ticking the box — and creating a repeatable process to research the data needed to match messaging, product and customer with no daylight visible between them. But provided your prospects are high quality the system above should give you a working knowledge of what’s going on inside your sales org. One of the most important roles in your organization is the SDR. They’re at the sharp end — SDRs are the first contact most of your customers will have with your company. Yet, they receive little training, recognition or preparation. Too often, we’ll treat SDRs as if they were disposable. It’s two-sided. SDRs often treat the role like it’s disposable, and they can’t wait to get rid of it. 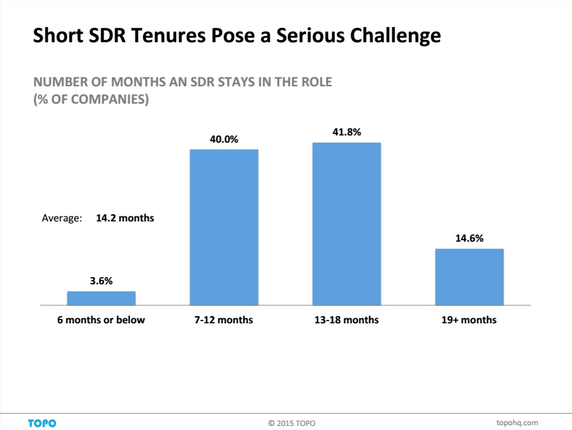 The typical SDR is in the role just 14.2 months — and it’s been falling for years. But if we can treat SDR positions as super important, and give SDRs the role-specific education and support they need to excel, there’s no reason why they can’t outperform the norm radically. That starts with something most sales orgs do, if they have SDRs at all: managing their activity. Most sales organizations, if they have SDRs, track their KPIs. This is a source of resentment and confusion; reps often feel as if KPIs are decided on high and don’t make sense in terms of their job. We think the most important ingredient in managing SDR activity effectively is dropping low-value, repeatable work from the SDR’s to-do list. We’ve blogged about this before here — suffice to say, the more you can automate the high-volume areas of prospecting, the more SDRs can work to set appointments with a solid, reliable list. The average CEO has 30 years’ experience and just under five years in role. Average CIO has 20 years’ experience, 5 to 7 years in role. Average SDR has 1.3 years’ experience, 14 months in role. That means these folks have more time in their current role than that SDR has in their entire career. And they have more time in their career than that SDR has even been alive. People in the C suite started selling and getting sold to before the average SDR started getting up early on Saturdays to watch cartoons. So it’s totally unreasonable to expect that SDRs will be able to communicate with executives well without coaching. Yet it’s an area where SDRs are chronically undercoached. But a lot of it is because too many sales organizations act like it hardly matters what SDRs say, just as long as they say it to as many people as humanly possible. You have a talking-points sheet and an email template, you’re good to go. Go hit your numbers. It’s another example of the way sales as an industry undervalues the SDR role, even though we’ve built a sales structure that totally relies on it. But if you don’t have one handy and there’s no time or budget to find, and onboard one, the next best thing is to train SDRs in the basics of sales copywriting. Because they are already doing sales copywriting, every time they send an email or answer one, and every time they get on the phone and a question or objection forces them to deviate from their scripts and templates. They’re just MacGyvering it. Points for grit, sure, but they’d do a way better job if someone showed them how. Get someone in to teach a sales copy 101 session that’s targeted to SDRs’ goals so they buy in. Or get sales managers to specifically teach their reps how to phrase and package the message in terms that sit right with the target. They don’t have to become superb, top-flight sales copywriters. (If they do, pretty soon you won’t be able to afford them. Those people basically write their own checks.) But they can be a whole lot better than they are now. And when their messages are more effective, as well as being better targeted, lead quality and velocity can both rise by eye-popping numbers. We’ve got cold email open rates of 86% — nearly three times the industry average — doing things this way. Give your SDRs copywriting training. Another crucial SDR activity is passing leads to AEs. When SDRs pass the torch to AEs, there’s a lot of potential for things to go wrong. But that means there’s also an opportunity. FunnelClarity has a great post here on how to organize handoff from a technical perspective, to avoid dropping the ball. And it goes into how to avoid common causes of SDR-AE friction like AEs treating SDRs like their admin assistants or insisting that SDRs handle notes for all accounts. But the cause of much of this friction, besides the undervaluing of the SDR role, is a process issue. Which does sound like something to avoid. What Bohrt is talking about is the stage of pipeline that no-one gets measured on. Consequently, no-one wants to touch it. Right after an SDR hands off an account to an AE, that account is being qualified. It’s in an SDR’s interests to get as many accounts here as possible; this is often a KPI for SDRs. Once it’s over the line, they don’t have to worry about it anymore. It’s out of their control. But it’s in an AE’s interests to let that account sit there as long as possible so that they can make sure that they only advance accounts that are extremely likely to close. Otherwise, they ball up their own KPIs. Set things up this way, and you set up a disconnect far deeper than the customer unease we’ll talk about next: you’ve created incentives for SDRs and AEs to sabotage each others’ success without even meaning to. If you’re not already doing this, take a look through the pipeline with special attention to what happens to lead velocity between SDR handover and AEs doing their first measured activity on the same account. 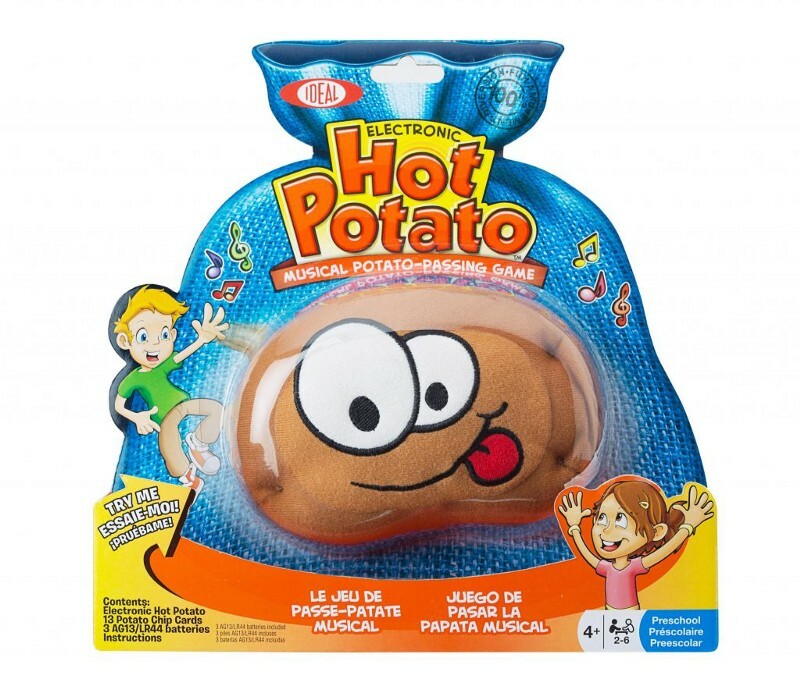 I’m not saying you’ll find this everywhere — but it’s more common than you’d think. What jumps out at you about these is, they’re yes/no. There’s no numbers and no maybes. The takeaway is, avoid ambiguous, BANT-style qualifying questions like ‘they have need,’ ‘they have budget.’ They’re judgment calls in a thin disguise. Rely on these and you’re back where you started, just with an extra layer of box-ticking added to everyone’s day. The goal should be to get this block, unblocked. Finally, there’s a CX issue with handoff. Customers often say this is their least favorite stage of being sold to; you’ve just begun to develop a relationship with a rep, when they pass you along to someone else in the company. In terms of building a structure, it makes perfect sense. But emotionally it’s baffling. The handoff period was especially in his sights, and host Nic Poulos concurs: ‘I know as a consumer, one of the things I hate the most is being handed off. So I start a conversation with somebody and I explain what I’m looking for and I explain my needs and that person says, “oh, well, thanks very much for your time, but I’m not really that expert. We can get around this if we take a different approach to the SDR role. Rather than letting SDR roles degenerate into grunt work — a kind of tax you have to pay to get a shot at an AE position 18 months down the line — it’s possible to treat, compensate and structure SDR roles as equal partners in the open-close process. Much of what Poulos objects to in handover doesn’t have to happen. It’s not inherent to the structure of sales — it’s a failure of process planning within that overall structure. When SDRs are experienced and skillful, and AEs respect that, it doesn’t happen. Nailing the target account is really the most important part of planning predictable growth. The more time is spent on identifying the right accounts to start out; the less time is wasted chasing the wrong ones later. But there’s more to it than saving lost time. When you’re chasing poorly-aligned accounts, some of your efforts will be wasted. But you don’t know how much. And the more poorly-aligned your prospecting, the more poorly you’ll understand which proportion of accounts you’re working with will yield positive results. Then your revenue will be crummy and unstable. The only way to really get through this are either to require the lead generation staff to ‘grind harder’ — ie, process a greater volume of leads — or improve prospecting to improve lead quality. The former is a direct route to disaster: when lead process volume goes up, the care that the lead generation staff take over each lead goes down. If you’re paid by the calls you make in a day and the call number goes up, what are you going to do? Call any number you can find so you hit your KPIs and get paid. When that happens lead quality nosedives. This is how you get unpredictable business revenue. Improving prospecting takes the uncertainty out of the top of the funnel and makes all the metrics downstream more reliable. Retention is often viewed as being outside sales’ direct control. That’s a matter for customer success. But this attitude is a mistake: it’s attributing the place where the process failed, as the part of the process that failed. In fact, retention has a lot more to do with prospecting than a first glance suggests. The ones who won’t are the ones who get stuffed into the pipeline so SDRs can make their numbers. AEs who need to make numbers for meetings go to meetings with them. And then they sign up, perhaps grudgingly, and at lower conversion rates than really genuine leads. Only to bail, and trash our reputations. The people whose numbers suffer are customer success. But the people who are responsible are the folks who designed the sales process because that’s what’s at fault. If you’re a SaaS business and you want predictable revenue, you want customers who stay customers, not customers who vanish unpredictably and cut your revenue off at the knees. There’s more to this than steering buyers towards your ‘pay annually’ page. And if you sell to large accounts the problem is proportionally worse. The solution starts at the prospecting stage. Remember, garbage in, garbage out. Unsuitable prospects = unwilling purchasers = unhappy customers. If your prospecting is on point you’ll be selling to the right folks and you won’t have the headache of high churn and unstable customer relationships. Creating predictable revenue for any business involves creating a predictable sales process. But it can’t stop there. Remember — even the best process will give you garbage back if that’s what you put in. Organizations need to measure prospect quality and ensure that they’re putting useable leads into the process to begin with. And they need to make effectiveness, rather than adherence to the process, the cardinal virtue; without this, reps at every stage feel under pressure to deliver quantity rather than quality. The consequences of that are a disjointed sales process, unhappy customers, a chaotic pipeline and unpredictable revenue. How are you using sales to make your business growth predictable in the year ahead?